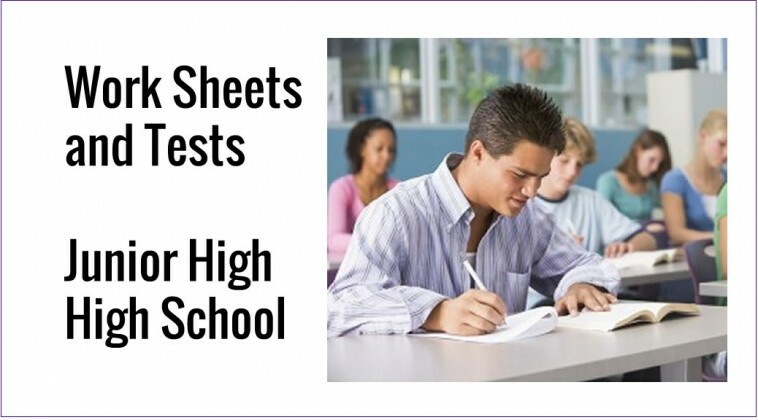 Students with ADHD can really benefit from well thought out worksheets, and from tests with modified structures. Optimize the design and fonts of the worksheets for best results. What is the point of giving a student a test? What is a teacher trying to measure? Are we measuring how well a student can take a test? Or are we measuring how well a student has learned and mastered information and/or skills? Stay focused on the goal! “Usability” is the design buzzword for the 21st Century. Just as web designers strive to make web sites fast, easy to navigate, and more user-friendly, teachers should strive to make their worksheets easy to understand, easy to navigate, and user friendly. Use large type. Easy to read fonts. Avoid fancy or small. Make the important points easy for the student to find. Keep page format simple. Include no extraneous pictures or visual destructors that are unrelated to the problems to be solved. Use buff colored paper rather than white if the room’s lighting creates a glare on white paper. Write clear, simple directions. Underline key direction words or vocabulary or have the students underline these words as you read directions with them. Draw borders around parts of the page you want to emphasize. Frequently give short quizzes and avoid long tests. ADD and ADHD students are well known for doing poorly on long tests or on timed tests, even when they know the material. Also provide practice tests. Provide alternative environments with fewer distractions for test taking if necessary. Students with attention deficit will often perform much better is taking a test in a quiet environment with few distractions. Using a digital recorder, have the student record test answers and assignments or give the student oral examinations. Consider modifying the test environment for ADD ADHD students to accurately assess their ability/achievement on subject area and standardized tests. Individual administration in a quiet area with frequent breaks will give a more accurate assessment than group administration.